OTTAWA - The federal border agency's new system for scrutinizing incoming air passengers could open the door to profiling based on race or other personal factors, warns Canada's privacy czar. Privacy Commissioner Daniel Therrien is pressing the Canada Border Services Agency to explain the program's rationale and build in safeguards to protect civil liberties. Canadian law requires commercial airlines to provide the border agency with specific information about passengers flying to Canada, including name, birthdate, citizenship, seat number and other data. For years the border agency has used the information to try to zero in on terrorists or other serious international criminals. Travellers are assessed for risk, allowing the agency to single out those with high-risk scores for closer examination at the airport. The border agency is moving to a system known as scenario-based targeting, already used by the United States, as part of Canada's commitment to work closely with Washington under a perimeter security pact forged in 2011. The border agency says the new scheme will be more efficient, effective and accurate, directing the focus to a smaller segment of the travelling population who represent a potential high risk. The new scenario-based method uses Big Data analytics - extensive number-crunching to identify patterns - to evaluate all data collected from air carriers, says Therrien's office, which reviewed the border agency's privacy impact assessment of the project. "Designed to harmonize with the system used by the U.S., it could allow the operator to, for example, search for all males aged between the ages of 18-20 who are Egyptian nationals and who have visited both Paris and New York," Therrien says in his recently released annual report. 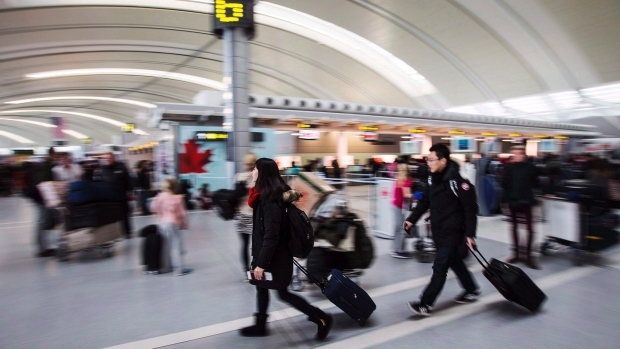 The privacy commissioner is concerned travellers may now be targeted for increased scrutiny if they fit the general attributes of a group - "subjected to recurring and unnecessary attention at the border because of characteristics they cannot change," such as age, gender, nationality, birthplace, or racial or ethnic origin. Prepare a broader privacy assessment of the overall program used to collect passenger information from airlines. The border agency "responded positively" to all of the recommendations, Therrien's office says in the annual report. However, the commissioner has yet to receive the requested details about the program, said Valerie Lawton, a spokeswoman for Therrien. The border agency could not immediately provide information on the project's status or about efforts to comply with the commissioner's recommendations.